When someone visits your home, the first thing they do is come in through the front door. Once they're inside, the entryway is the area they see before anything else. Because this part of your house sets the tone for the rest of it, the entryway should have a big enough impact that visitors are excited to see what the rest of your house has to offer. Regardless of the colors used throughout your home, it's possible to utilize contrast in your entryway. The way to do that is by figuring out what dark and light details you can pair with each other. The dark areas will catch visitors' attention, while the presence of light colors as well will keep things balanced. Speaking of balance, it's very important not to go too far in either direction with the colors. Otherwise, you'll end up with a space that's too bright or too gloomy. There are several reasons that the entryway is the perfect place to hang a mirror. First, it serves the practical purposes of allowing you to quickly check your hair and makeup before you step outside. Second, regardless of the space they're used in, mirrors make that area appear larger. So if you're concerned that your entryway feels a little cramped, this visual trick can eliminate that concern. Finally, mirrors are very easy to pair with other accents. Whether you're thinking about hanging some art around a mirror or placing flowers in front of it, you shouldn't have any trouble getting your idea to look great. When many homeowners think of making a big impression with this space, they think that they need to add lots of accents and items in order to accomplish that goal. While it's easy to understand that line of thinking, it's actually not true. In fact, it's possible to make an even bigger statement by utilizing minimalism and simplicity. The reason that approach works so well is because it makes it possible to create a focal point for the area that has a major impact on anyone who sees it. With this information, you should be able to create the ideal design for your entryway. 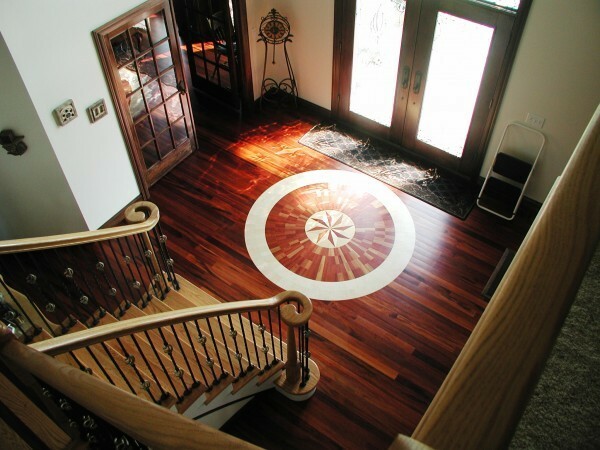 And keep in mind that if you're having a custom home built, you'll have even more control over the look of your foyer. For example, you can opt for a beautiful spiral staircase that comes directly into this area!